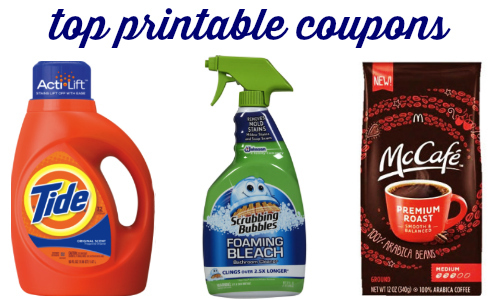 Save on brands you love with today’s top printable coupons! You can print coupons for Tide, Excedrin, Scrubbing Bubbles and more. Tip: You can get (2) prints of each coupon per computer!